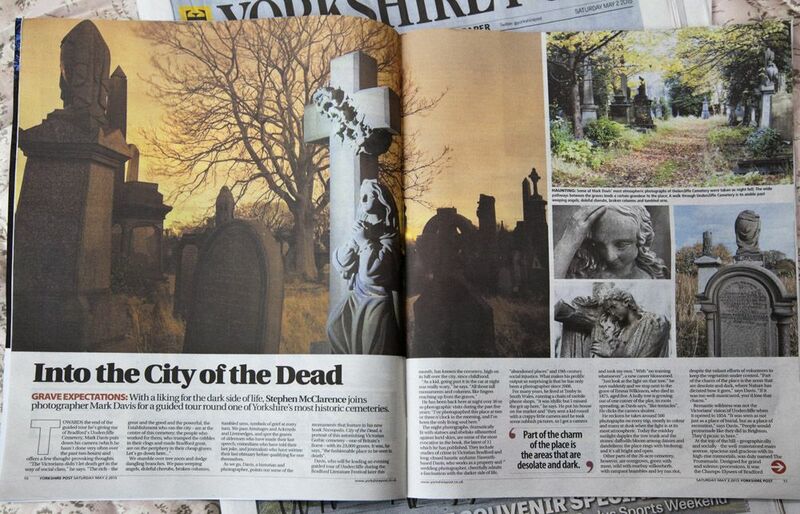 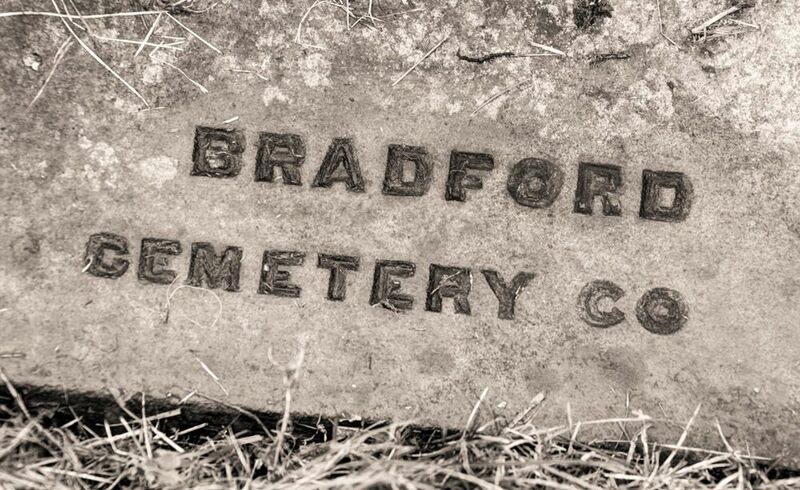 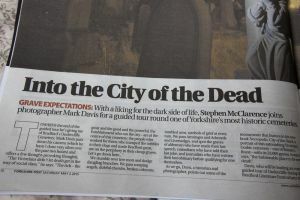 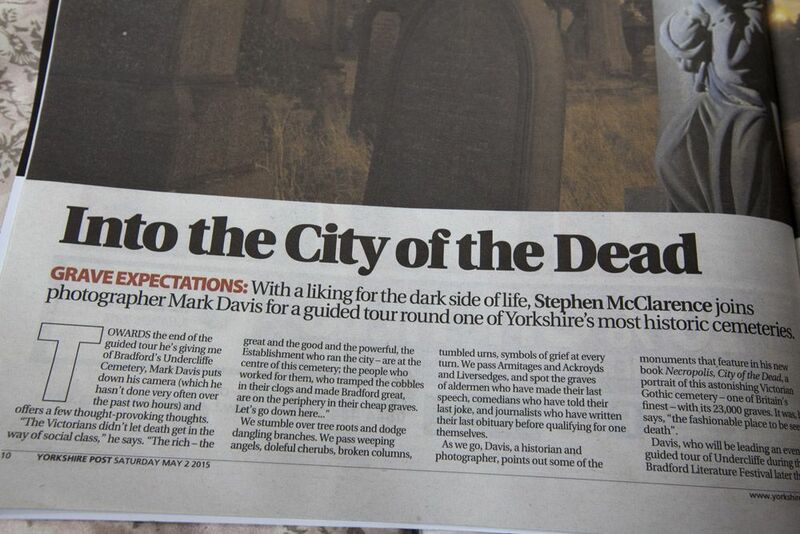 In Victorian Bradford when death came there was only one real place to be buried. 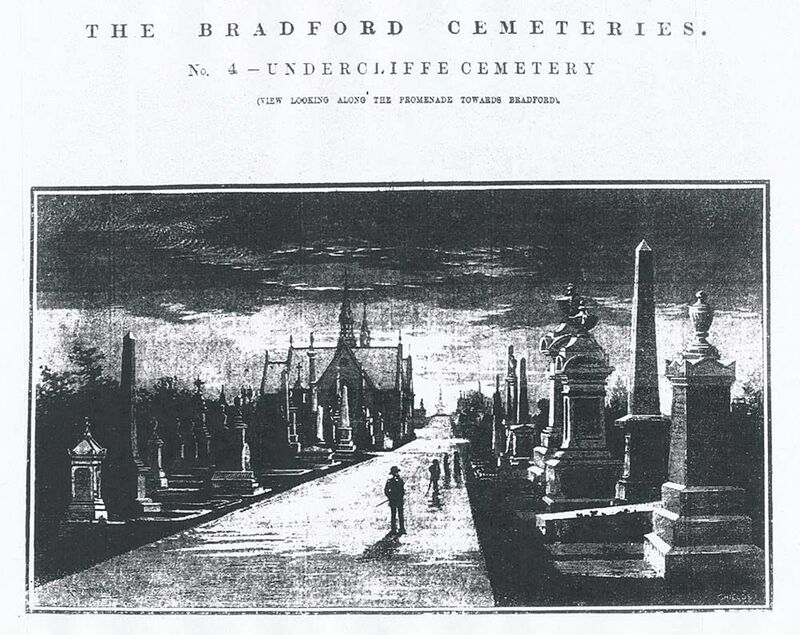 For the rich and poor alike the newly laid out Undercliffe Cemetery designed by William Gay was the fashionable place to be seen in death. 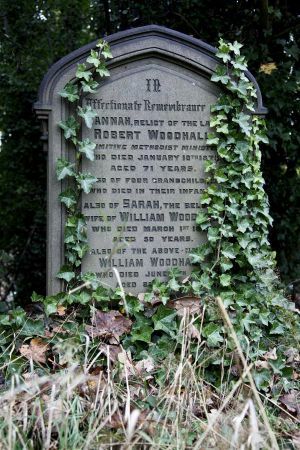 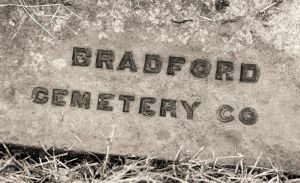 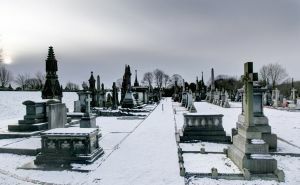 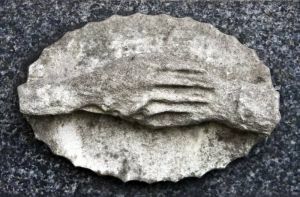 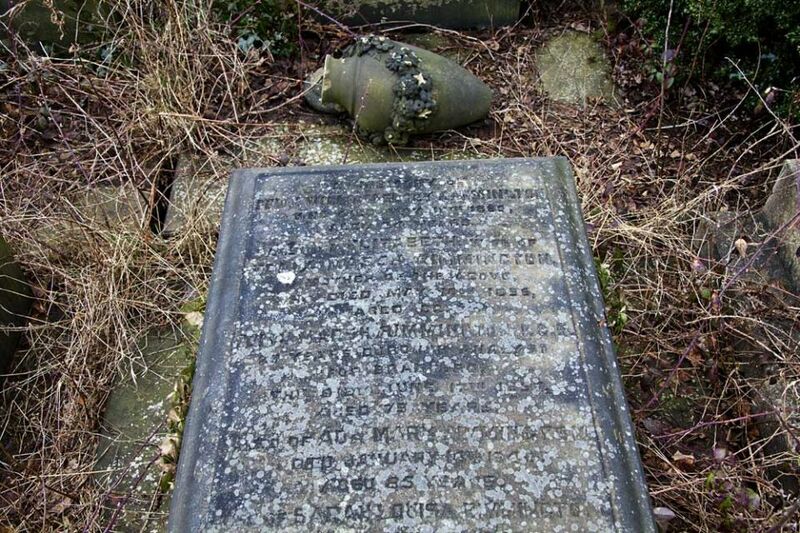 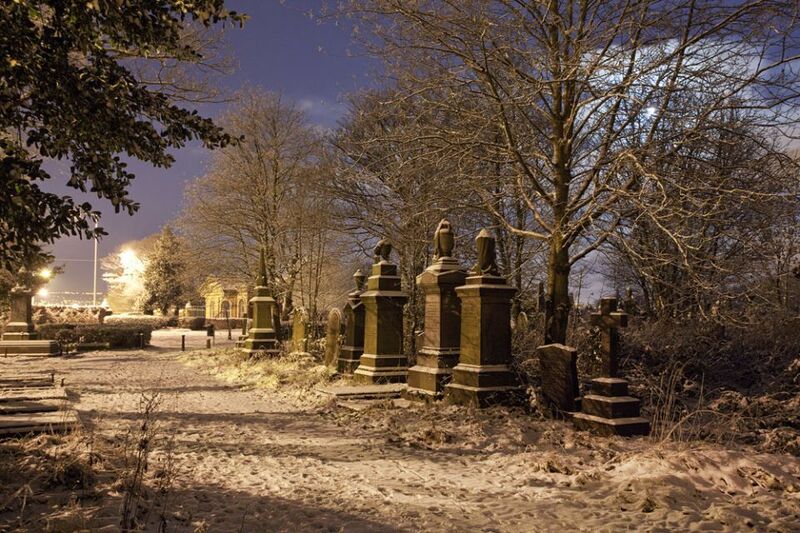 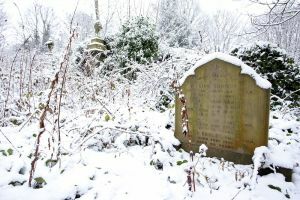 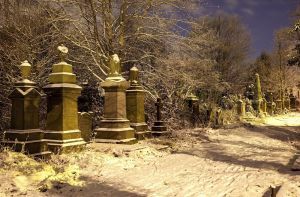 The cemetery which was conceived by the ‘Bradford Cemetery Company’ was provisionally registered in 1849 as a consequence of the intense overcrowding at the St Peters the parish graveyard where human bones were seen to be protruding from the graves. 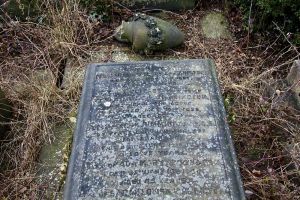 The first burial at Undercliffe took place in March 1854, although the official opening did not occur until four months later in August. 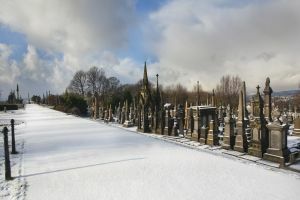 The grand opening ceremony was officiated by the Bishop of Ripon who consecrated the Western side of the cemetery for the Anglicans. 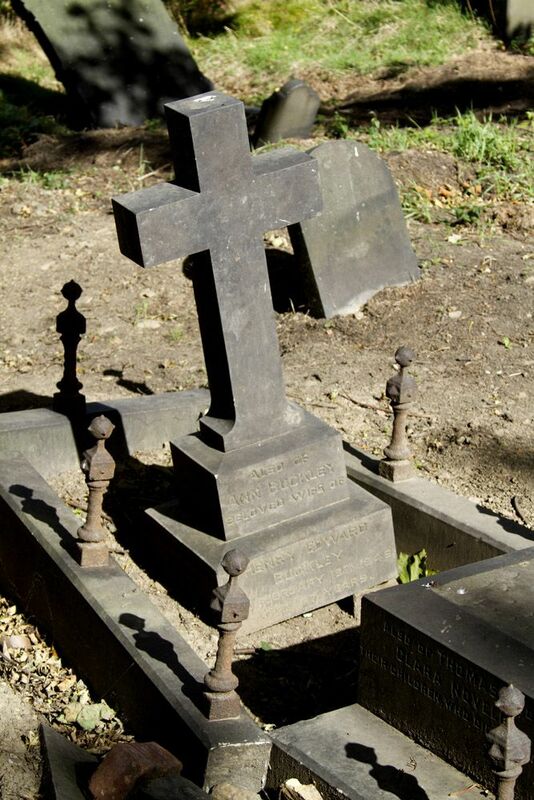 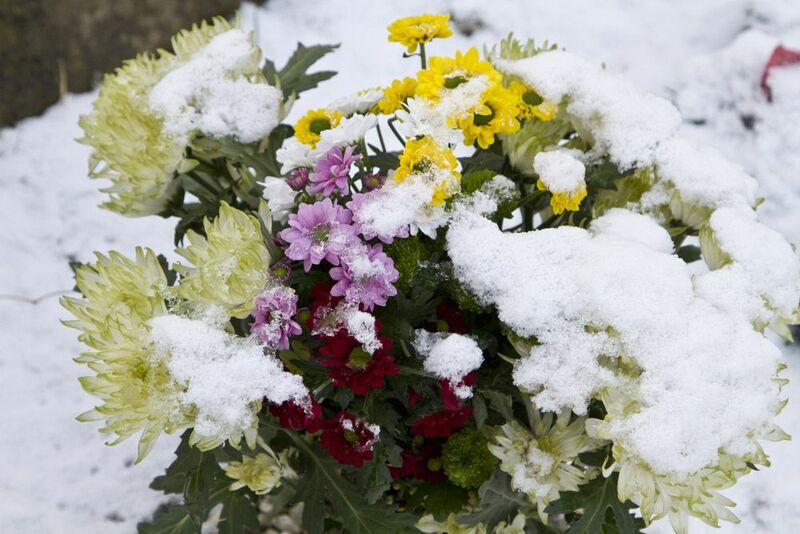 The Eastern side remained available for the burial of the nonconformists. In life as in death status was observed, and the ability to pay determined the location of a grave. 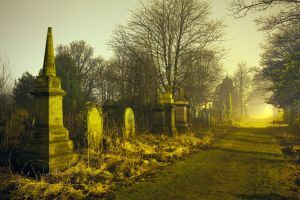 While the affluent reserved multiple plots near the promenade and historic core the pauper class suffered being interred in unmarked communal ‘Company Graves’ on the boundaries of the site. 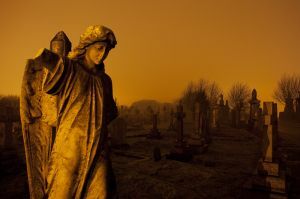 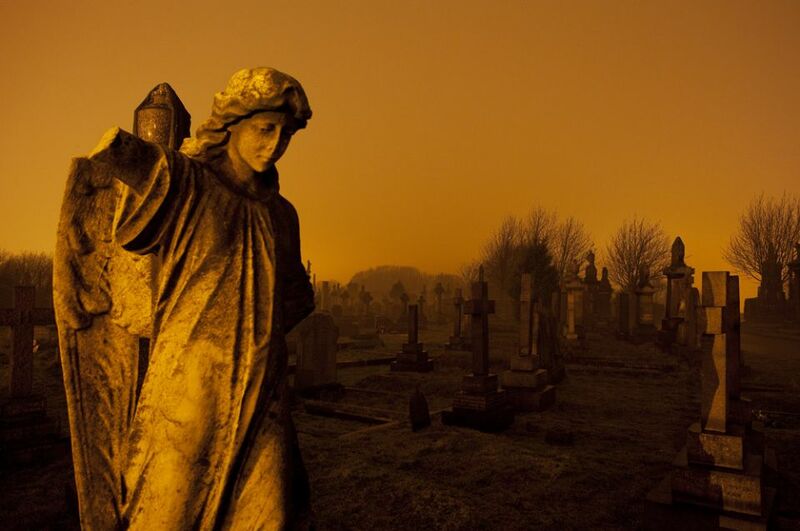 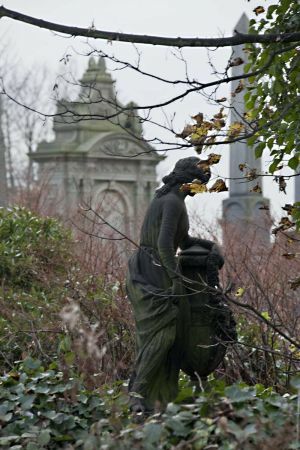 As the cemetery grew and the great industrialists bought themselves a little immortality with their huge monuments that still to this day dominate the skyline the cemetery was seen as a place of recreation, and people would dress in their Sunday best and promenade. 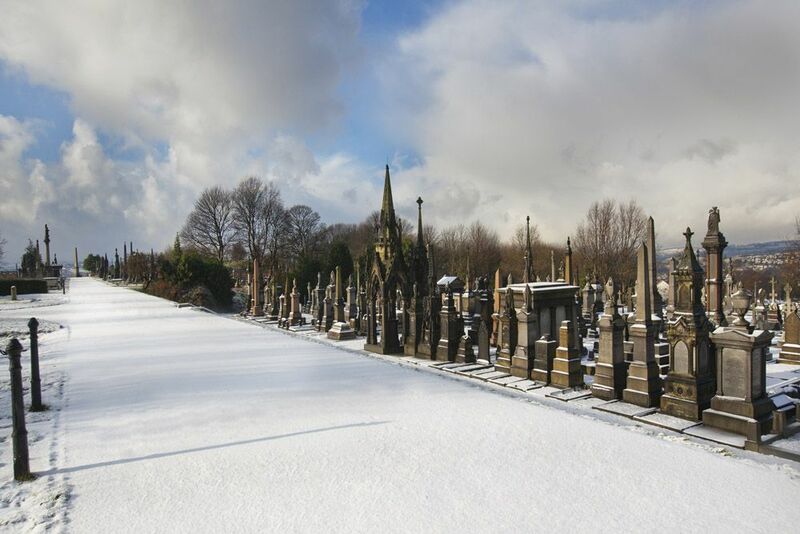 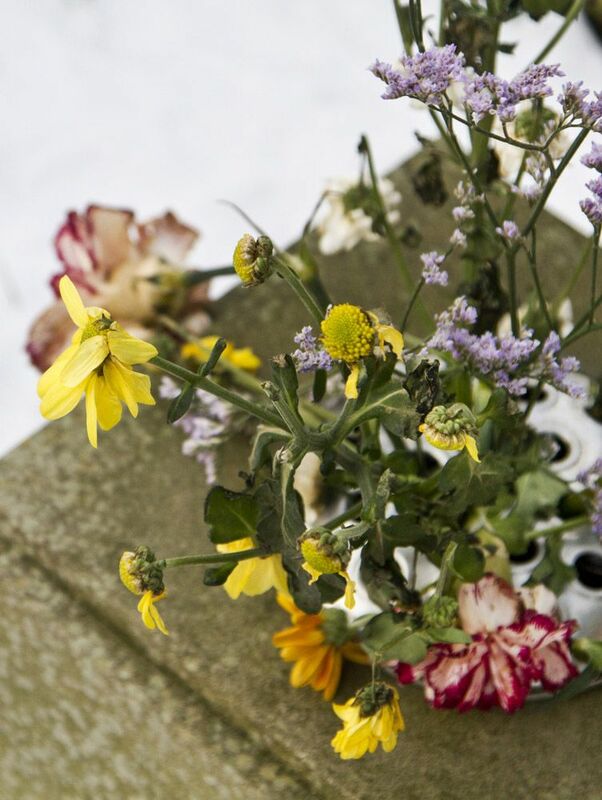 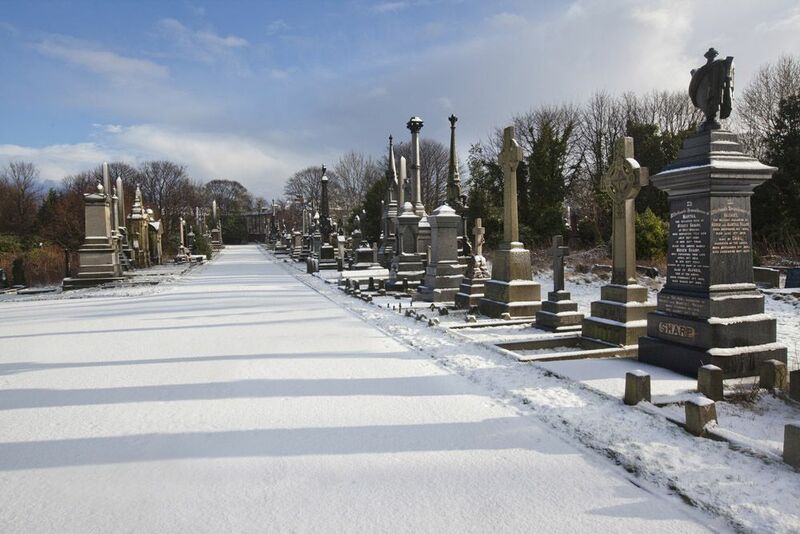 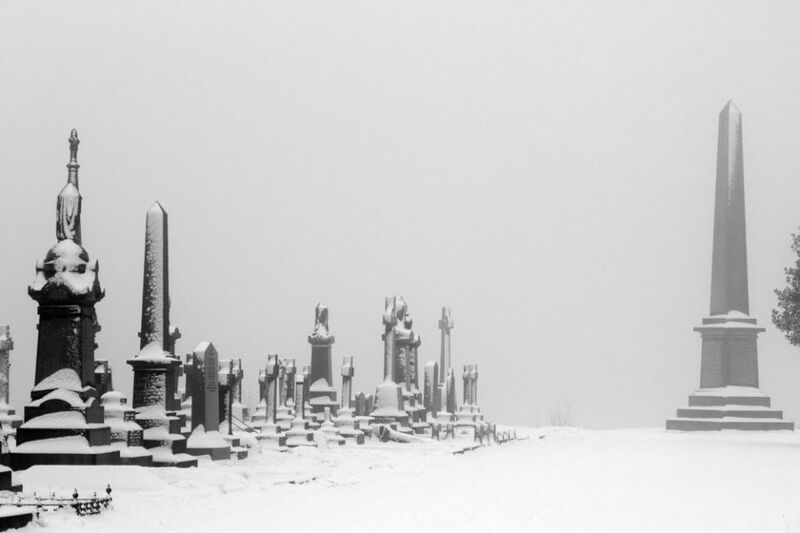 In 2015 the cemetery remains as a testament to the lives of the people that forged our city. It is a place where our history is quite literally written in granite and stone. 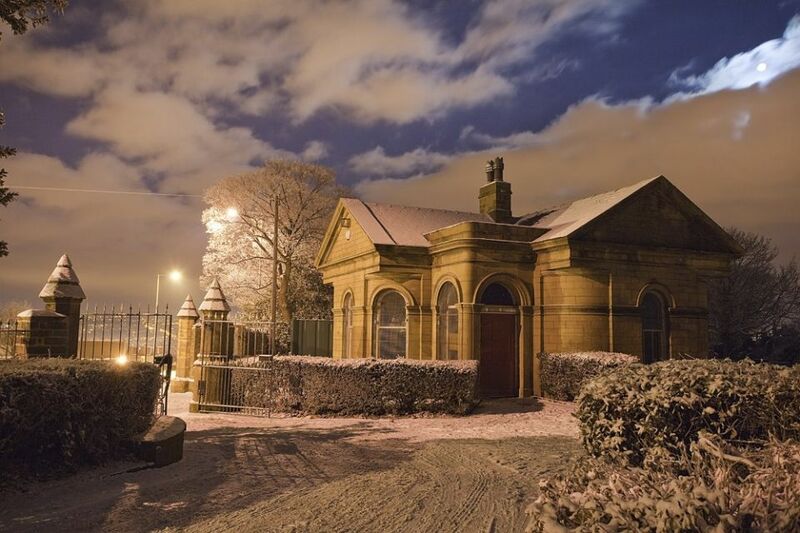 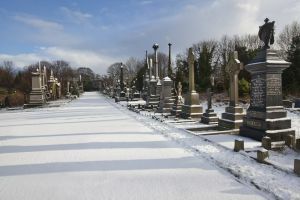 The grand mausoleums and tombs fit for pharaohs, some of which are now of special architectural and historic interest has resulted in the cemetery being placed on The National Register of Historic Parks and Gardens alongside other famous cemeteries such as Highgate. 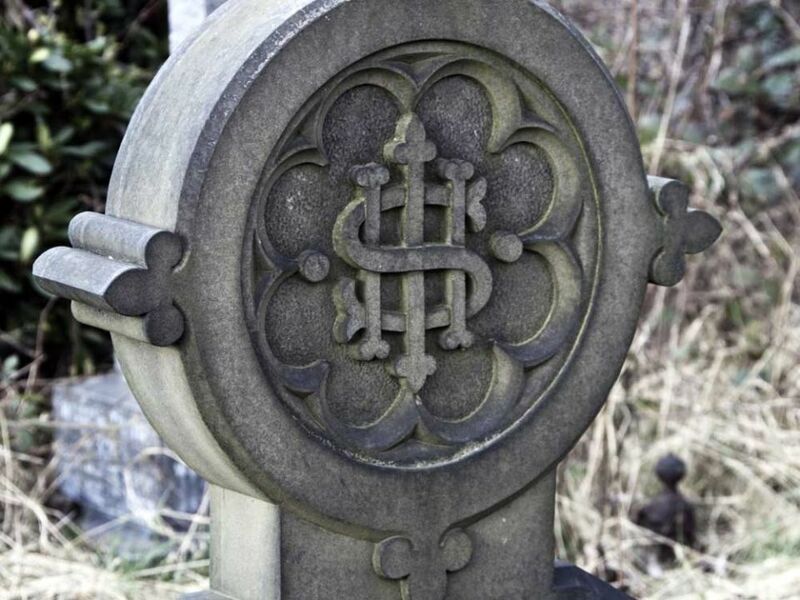 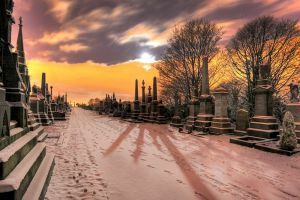 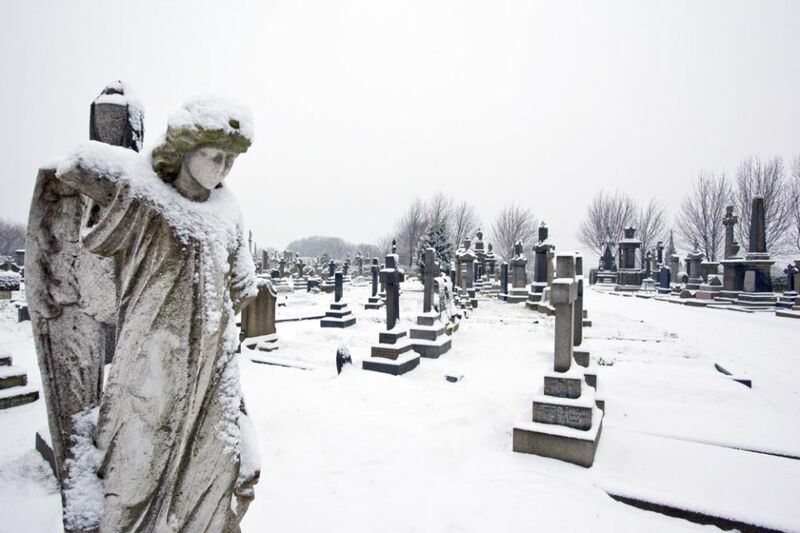 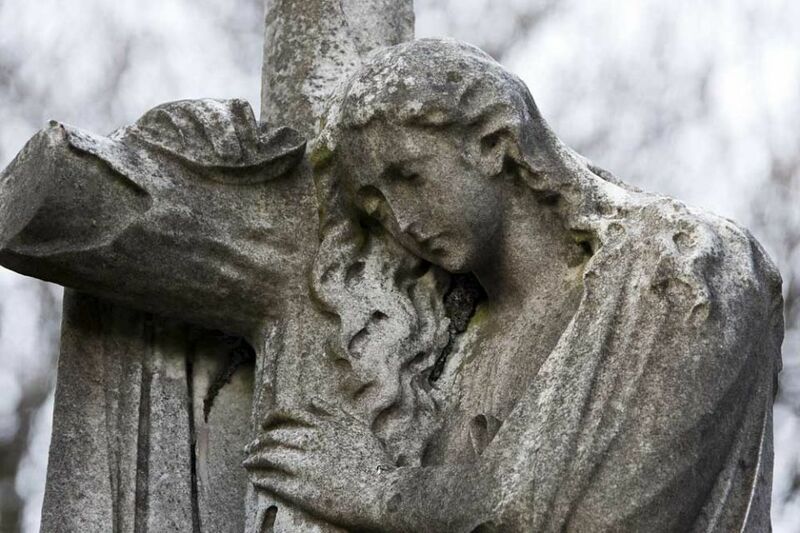 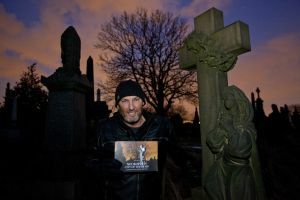 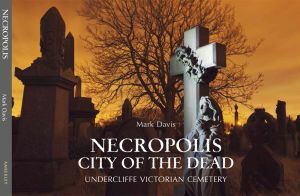 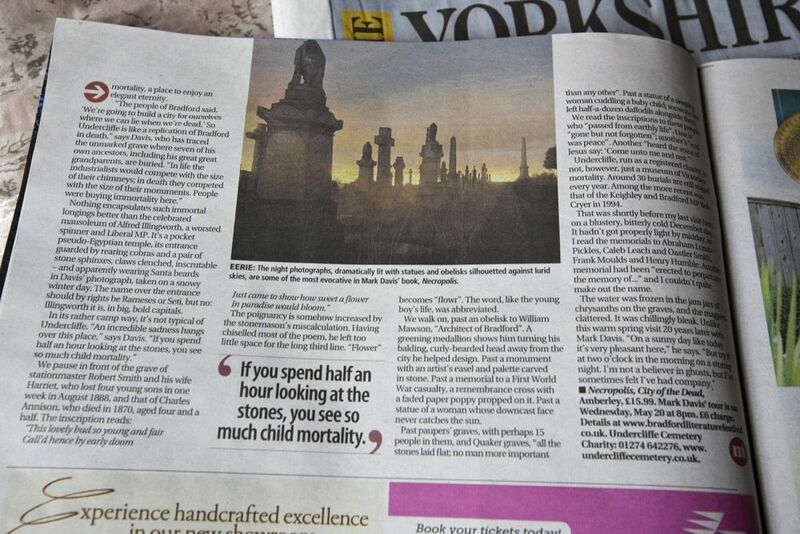 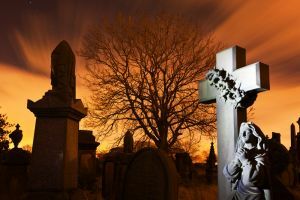 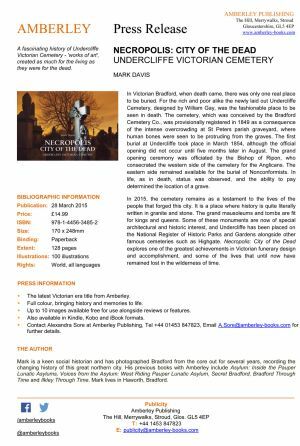 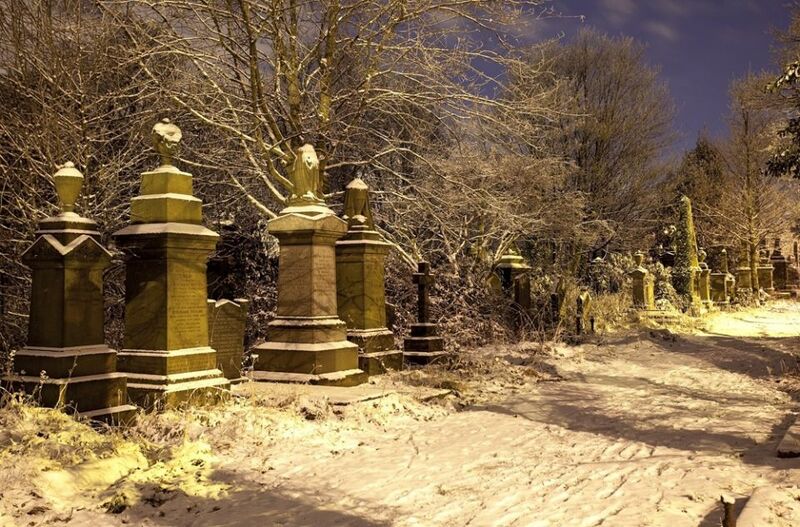 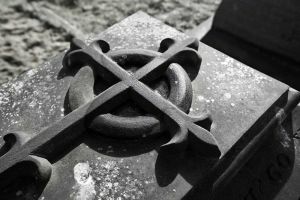 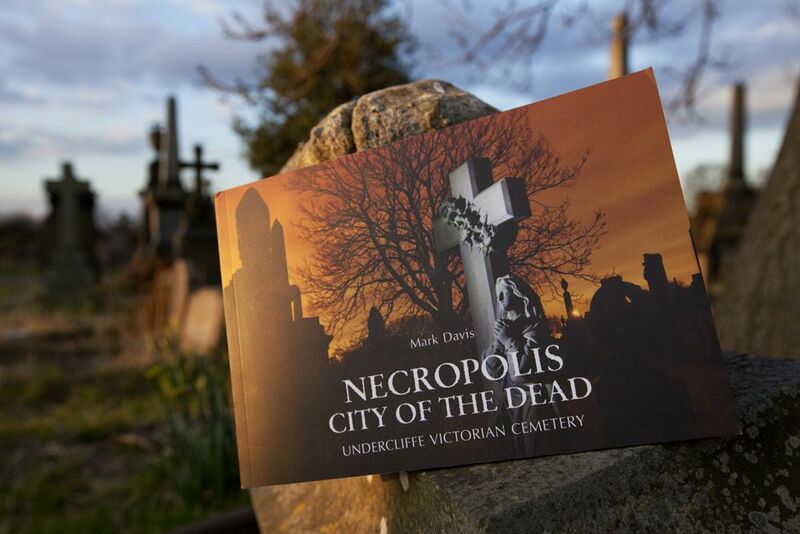 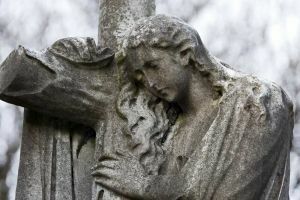 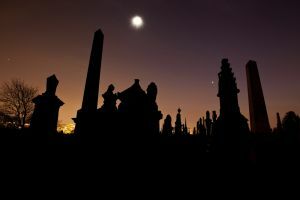 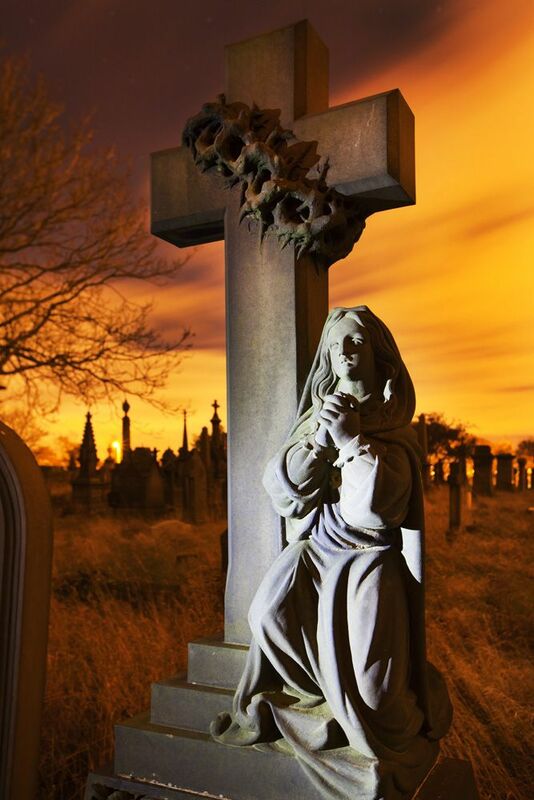 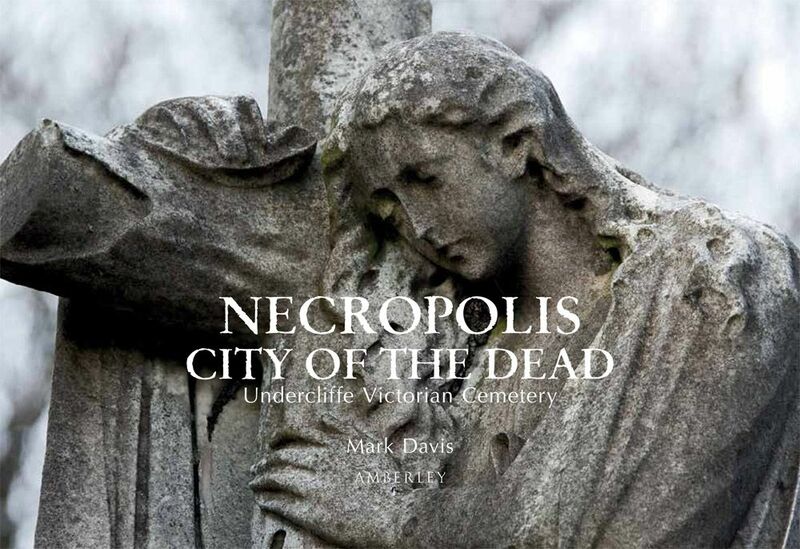 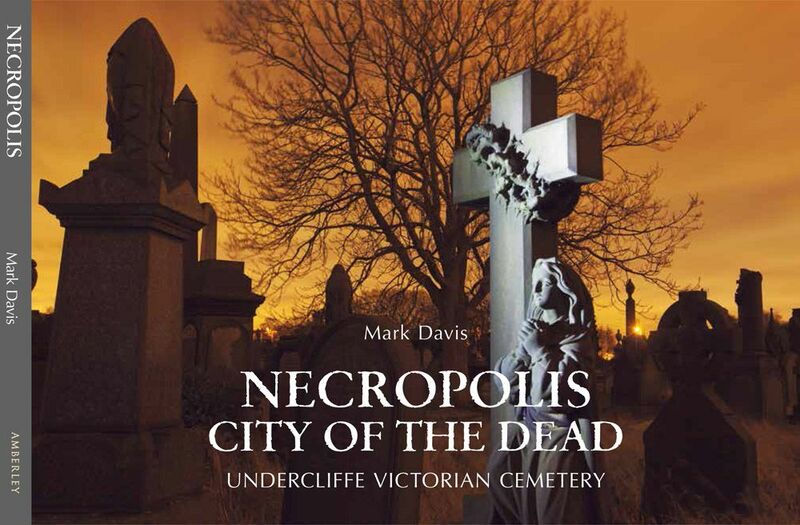 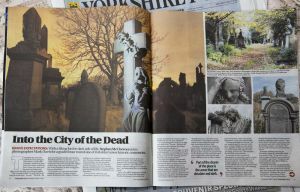 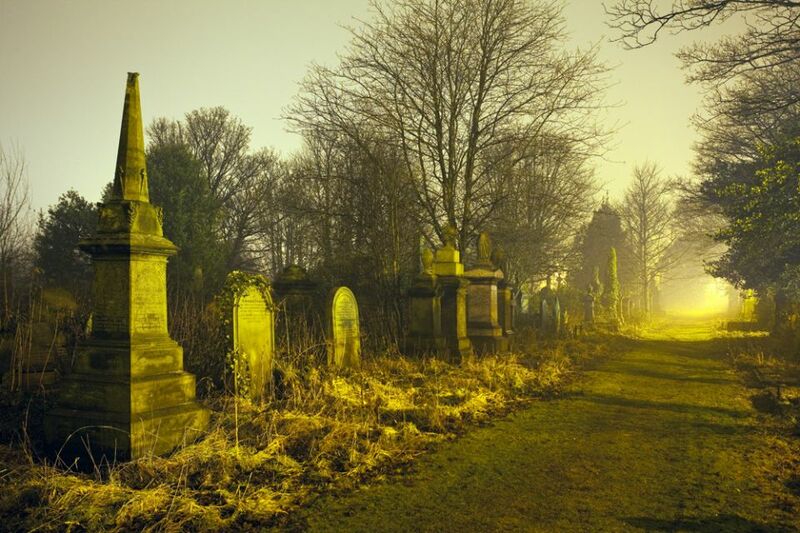 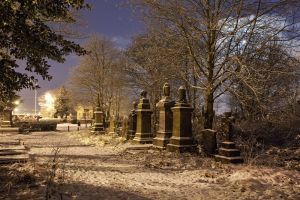 Without doubt Undercliffe cemetery is one of the greatest achievements in Victorian funerary design and accomplishment, and through this book we explore some of the lives that have until now have remained hidden under the wilderness of time.